The arguments made by the majority rule of the Court totally invalidated the 1st halve of this amendment “A well regulated Militia, being necessary to the security of a free State,…”. What is meant by “well regulated Militia”? Who did they intend to be the regulators of this Militia? The obvious answer it the government. How are gun owners now being ‘well regulated’? Are gun control law as they somewhat exist now a form of well regulation? Are gun owners considered a Militia by anyone? Do gun owners consider one of their duties to protect “the security of a free State“? If one had no preconceived idea about the Right to bear arms would such an interpretation be reasonable? I claim that those justices who voted for “an individual’s right to possess a firearm, unconnected to service in a militia and to use that arm for traditionally lawful purposes, such as self-defense” do so with a bias. It just goes to show how political the Court can be and how important it is not to have Justices serve who are not political centers. This goes for both conservatives and liberals. The Court should protect the spirit and intent of laws related to the Constitution. There is good historic reason why our founding fathers qualified the right to bear arms with “A well regulated Militia”. The Revolutionary war had just ended a couple of years earlier and memories of British rule were fresh in their minds. They wanted to assure that they were able to defend themselves against the British retaking their colonies or any other nation from invasion. The 13 colonies were a very new, weakly united and relatively vulnerable nation very susceptible to being taken by any large European nation. 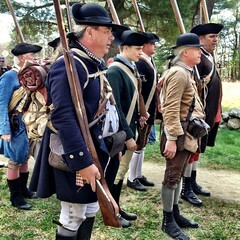 They needed to assure that they had a Militia to protect the States since they had no standing army at the time. No other nation has ever given its citizens a constitutional right to bear arms for self-defense or other personal reasons. If a Militia is no longer needed than the default would be that there is no constitutional Right to bear arms. The founding fathers did not state the most obvious reasons to bear arms such as self defense and hunting. It would be unreasonable for them to say one thing in the 2nd Amendment and mean another. They clearly states both the purpose “the security of a free State” and the method “A well regulated Militia” as conditions for “the right of the people to keep and bear Arms“. For the Court to rule that this amendment means otherwise seems to defy reason. Most firearms have been designed to very efficiently kill human beings. Firearms have always been designed primarily to kill people and secondarily for hunting, target practice or other purposes. That is why rapid fire has always been the hallmark of a good gun. Every year firearm manufacturers refine guns to do this task with even greater efficiently. When the vast majority of people purchase these killing machines it is primarily with the single purpose of taking another person’s life as efficiently and quickly as possible. I personally cannot reconcile the taking another human life. Thousands of people are shot and killed by firearms where they were not the intended victim whether by accidents or “collateral damage”. Far more noncombatants are shot by firearms than in all the US wars since the Vietnam conflict. We average more than 11,000 firearms killings every year in America. The US had 5.0 homicides per 100,000 people by firearms in 2011 while England had 1.1 and Australia had 1.2 homicides without guns, both courtiers having total bans on guns some time ago (http://www.civitas.org.uk/crime/crime_stats_oecdjan2012.pdf). The US ranks 3rd highest in homicides on this list of 35 nations). Almost 5 times more lives are taken by firearms in the US than by other means in England and Australia. That means that had guns been banned in the US then instead of 11,000 people losing their lives, 8,000 people would still be alive and 3,000 people instead of 11,000 people would have been killed by homicides. One can conclude that if the US also outlawed guns then the US would be a rather safe country to live and 4 per 100,000 people would still be alive”. Some would be those shot in the 1999 Columbine school massacre, those in the 2011 shooting of Gabby Gifford and 17 others in Tucson, those at the Aurora movie theater last summer, and of course those teachers and very young children brutally shot multiple time at Sandy Hook Elementary School. We claim to be a nation of laws but in reality many want to take the law into our own hands. I believe all civilian guns should be band and wars fought as a very last resort to protect our country and lives, not wealthy overseas oil interests. Human lives should not be viewed as cold statistics but as warm living human beings just like ourselves. To take any life should be out of desperation. You should value all life as much as you value your own because you can’t make a legitimate claim that you have any more right to live than another. I am convinced that the 2nd Amendment has abused and not taken as intended by its author James Madison or the other founding father who ratified it. I am convinced that this would be a safer and better country if guns were generally banned and strictly regulated where permitted such as in law enforcement, certain sports, and the military. I believe that guns should never be a right of ownership but rather a privilege to carry. Guns give people a sense of power that is far too easy to abuse with deadly consequences. I’m totally against the arbitrary right to bear arms. Life is too precious to deny with such ease and finality. I believe our founding father thought the same based on the documents they created for posterity. See also: The Right to Bear Arms – Did Founding Fathers Intend it for All? This entry was posted in Constitution, Government and tagged 2nd amendment, arms, bear arms, constitution, gun, kill, militia, possess a firearm, Revolution, shoot, Supreme Court. Bookmark the permalink.